When Is the Best Time to Send Graduation Announcements? 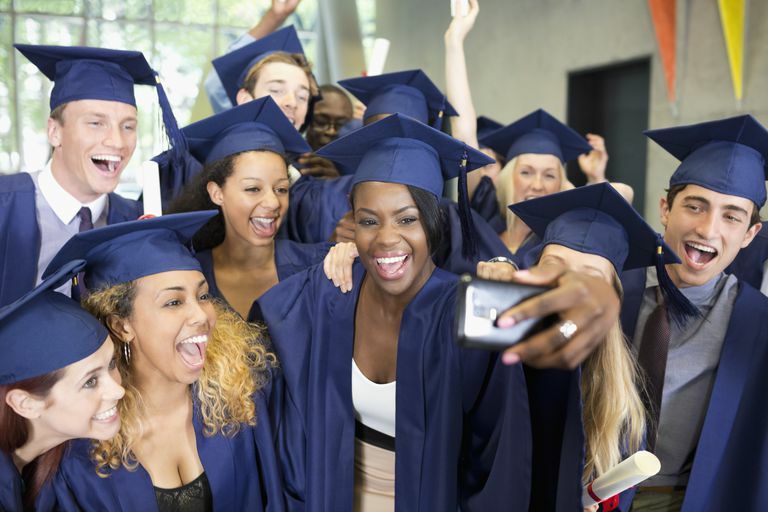 Sending college graduation announcements may not be a huge priority for you — after all, you've got a lot going on as you prepare to graduate from and live life after college — but if you want to spread the news of your accomplishment, it's important to do it in a timely manner, especially if you want people to attend the ceremony. So when exactly should you get your college graduation announcements in the mail? Your timeline depends on the purpose of your announcement. If your announcement also serves as an invitation, the card should arrive two weeks prior to the event, at the very least. That means it's a good idea to drop them in the mail about a month out from graduation day, if not earlier. More often, graduation announcements are just that — announcements. In that case, you can plan on sending them no earlier than a month out. It's acceptable for graduation announcements to arrive two weeks prior to two weeks after your graduation date. Remember, that's just the timeline for sending the announcements. Give yourself ample time to collect all the addresses you need, as well as shop for, choose and order the stationery. At that point, you're subject to the seller's order deadlines, production timelines, and shipping options. If you're a procrastinator, you may be able to save some time by ordering pre-addressed envelopes or address labels (though that will cost more). And if you're really under a time crunch, you could even spring for priority mail postage — again, that'll cost you. Ideally, you want to allow enough time for 1) the announcement to arrive at someone's house, 2) the person to read your announcement 3) buy a congratulations card, if they wish and 4) the congratulatory card or gift to arrive back at your school. One month usually allows plenty of time for this process to take place. If the timing is such that you don't think you'll be at school by the time congrats cards arrive, consider putting your post-grad address (or your parents' address) on the envelope so nothing gets lost. If you'd rather not deal with that, you can add a "no gifts, please" line to your graduation announcement. Of course, that's no guarantee people won't send you anything, so take the time to think about the best return address to put on the envelopes. If it's already closer than one month until your graduation, don't worry: Just send out your announcements as soon as you can. Keep in mind it's acceptable to send out your announcements after you've already graduated, as long as not too much time has passed between your graduation date and the delivery of the announcement. Ultimately, it's up to you when you want them to arrive. Finally, remember that you don't have to send graduation announcements if you don't have the time or don't want to spend the money doing so.